Thea Peterson at Voice Care WA is a Speech Pathologist with extensive experience in the treatment of adults with voice problems, chronic cough and laryngeal breathing difficulties. Voice therapy involves a thorough evaluation of the factors that contribute to a voice problem, chronic cough or laryngeal breathing difficulty and devising a therapy programme to address each person’s individual needs. Do you lose your voice? Is your voice husky, rough, hoarse, strained or gravelly? Has your voice got lower in pitch? Has your voice always been too high or too low or not gender appropriate? Is projecting your voice a problem? Do you constantly throat clear of cough? Are you having coughing fits? Has your singing voice deteriorated? 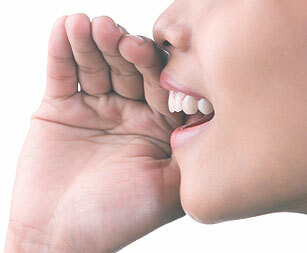 Does your voice tire after prolonged talking or singing? Is your voice strained after talking or singing? Is it an effort to talk? A feeling of tightness, constriction or lump in your throat? Muscle tension or strain in your neck, jaw or throat? If you answered YES to one or more of these questions you may have a problem with your voice. Please phone or email to discuss your problem and to arrange an appointment as voice therapy may help you. It may be recommended that you consult an Ear, Nose & Throat Specialist prior to commencing therapy.